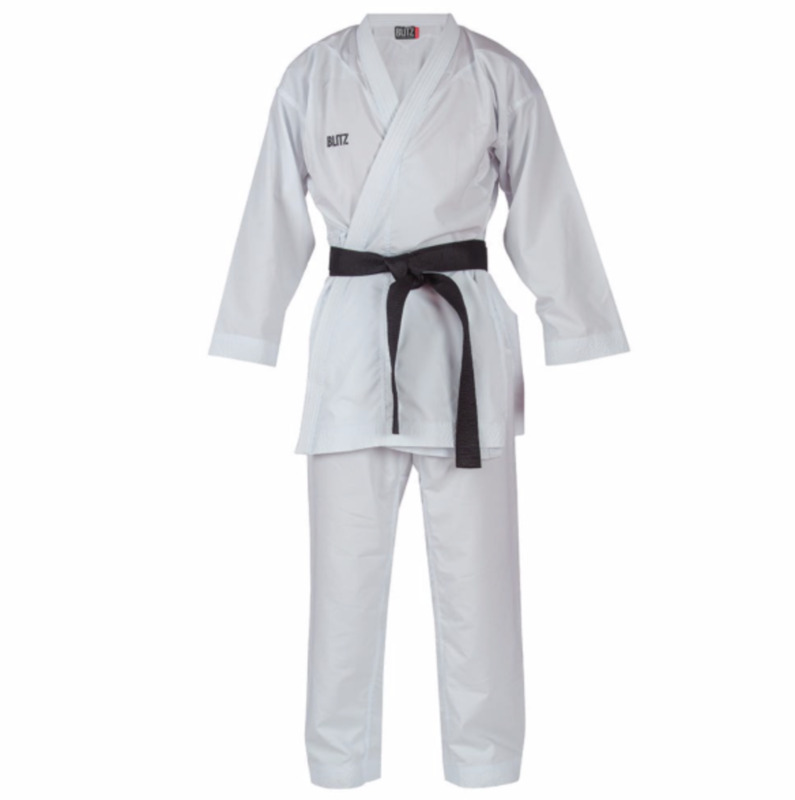 Specifically developed for fighters, this karate suit includes the latest moisture management technologies. Ventilated shoulder, waist, hip, underarm and backside areas are designed to draw moisture away from the skin and be of great use in hot climates. 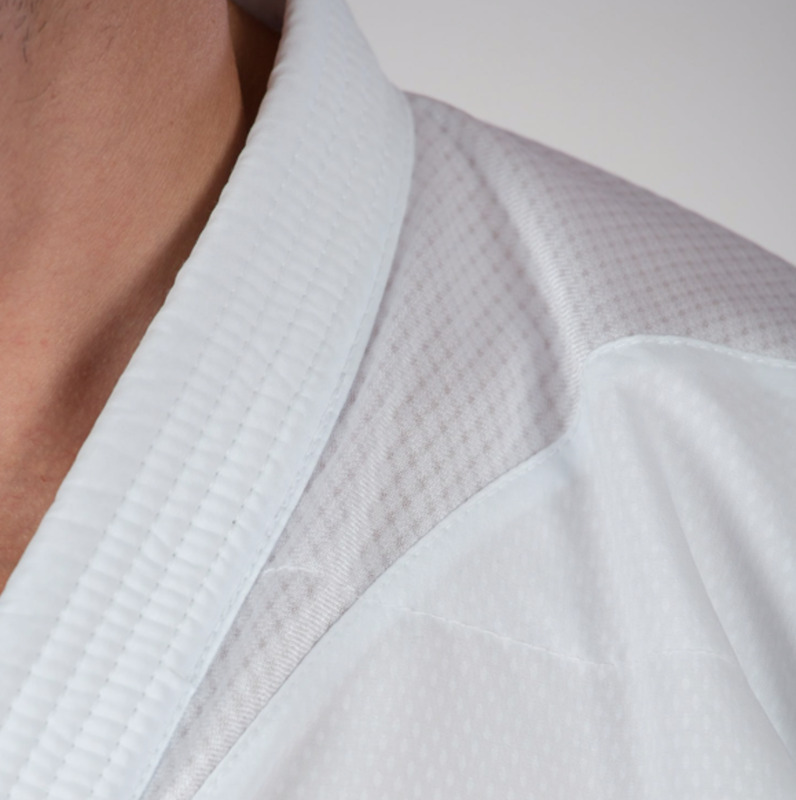 For maximum movement and comfort, the gi also incorporates a three-sectional gusset and a super-soft rippled interior, helping the material glide over the skin during intense training sessions. Trousers have an elastic/tie waist. Can be worn in all JHKA Classes, competitions and gradings. A club badge must be worn on this gi also.